Colorful, quirky, energetic and sometimes surprising, the ArtRageous Parade is the traditional kick-off of the May Festival of the Arts. 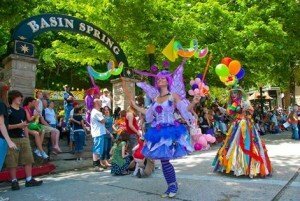 Join the stream of floats, art cars, walkers, dancers, musicians, jugglers, drummers, and dancers. 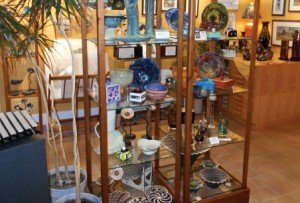 Our Second Saturday Gallery Strolls give everyone a wonderful, relaxing evening in downtown Eureka Springs. Participating galleries have wine and light snacks as you wander through their artist's wares. Sometimes you will even get to meet the artists in person! 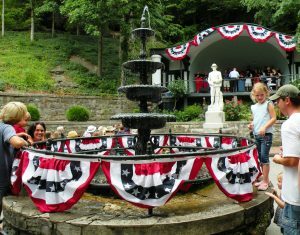 Stroll at your own pace and just enjoy all that the galleries and artists of Eureka Springs have to offer. 6:00-9:00PM every Second Saturday from May through October. Free Holiday Fun for the Whole Family! 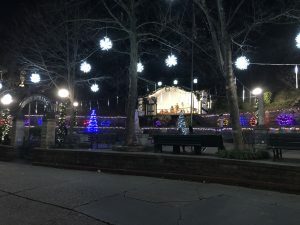 Caroling in Basin Spring Park with momandpop at 5 p.m. Living Windows including Living Art Exhibit 5-8 p.m. Elfie Selfie Scavenger Hunt 5-8 p.m. 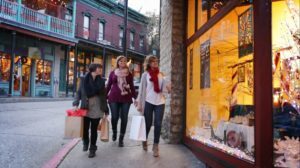 Snow, Street Theater & More throughout this spectacular night of shopping in our historic downtown.